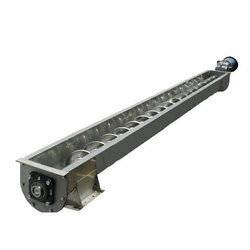 Our product range includes a wide range of screw conveyor. Screw Conveyor designs and manufactures equipment for various industries such as salt, cement, coal, food products, chemical, biomass, agriculture, gypsum and other industries where there is a need for industrial duty equipment to convey free flowing bulk materials. Looking for Screw Conveyor ?